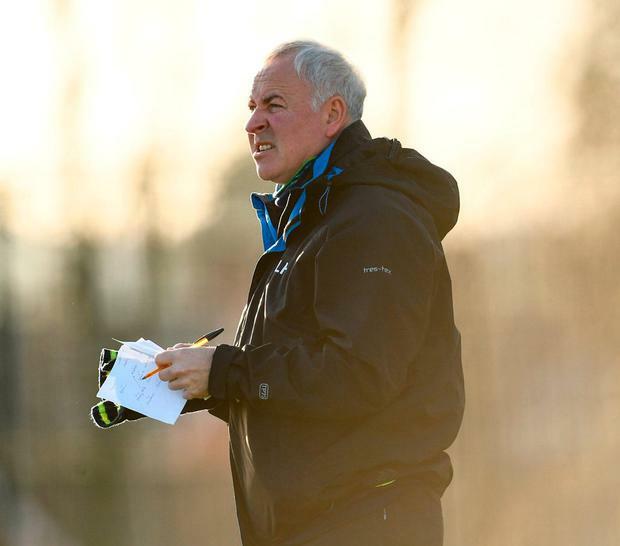 In an interview before the turn of the year, Antrim manager Lenny Harbinson, who is heading into his second season in charge of the Saffrons, said it out straight – the league is their priority. At first glance, it flies in the face of logic for the game’s secondary competition to take primacy but championship silverware is generally the domain of a select few, so for many counties the league is where it is at. The spring, where they are pitted against teams based on their standing rather than their geography, is where they can gain traction and look to build. Harbinson’s view is one that is widely held across the football landscape. In their opposition to elements of the experimental rules, the GPA outlined that they had no issue with rules being trialled in pre-season competitions but were opposed to that experiment being brought into the league. They explained that, given the significance that competition holds for a large portion of its members, it wasn’t an appropriate place for large-scale experimentation of the rules. And in Division 4, where Harbinson and Antrim will operate, the league likely holds more significance than anywhere else. A championship success, or even an extended run, is difficult to come by, adding even more significance to the league competition. The eight counties that will contest the basement division this year contested 20 championship matches in 2018, winning just four. Only Leitrim managed to win more than one championship game as they beat Louth after their win in New York. Otherwise, Waterford won their first qualifier since 2011 against a Wexford side that was already condemned to join them in Division 4. Wicklow’s win against Offaly was the other success. Derry’s presence in the basement division has caused a stir. Just four years after they contested a Division 1 final, they slipped out of Division 3 last year. On paper Damian McErlain’s side have all they need to pull themselves out of the basement at the first time of asking but they will have to do so without the services of Mark Lynch, who hung up his boots after a 15-year career. Wexford dropped down from Division 3 with Derry last year. Brian Malone’s decision to commit for another season is a boost and while they are second favourites with the bookmakers to win it, they will be put to the pin of their collars to bounce straight back. Leitrim are next in the betting and new manager Terry Hyland has a good record in the league, having brought his native Cavan from Division 3 to Division 1 during his stint in charge of the Breffni men. Last year they won two championship matches, including a comprehensive win over Louth in Carrick-on-Shannon, which was a reminder of their potency on home turf. They face Wexford and Antrim in their first two rounds in Páirc Seán Mac Diarmada and those fixtures will go a long way towards deciding their league fate. Limerick, London, Waterford and Wicklow make up the rest of the division. The Treaty endured a rough year in 2018, with manager Billy Lee revealing he almost didn’t field a team against Mayo in the qualifiers after an administrative error meant one of his players couldn’t play, while he also said more than 50 players turned down the chance to play for the county. Wicklow didn’t win a game in the division last year but beat Offaly in the championship. London have continuity with Ciaran Deely in charge for a fourth season but they face many of the same issues they do every year while Waterford, with Benji Whelan in charge, go again with the memory of their first qualifier win since 2011 fresh in the minds. As Harbinson put it, building momentum and giving the county something to go on is the priority for all eight counties. For them, the league is more of championship and a better barometer than the real thing.